Starfall.com is just a brilliant way for beginner readers to learn their sounds. I just love how easy it is to use. You just click on whatever sparkles. Cute! It is always really, really popular with Pre-schoolers and children who have just started school. It would also be useful for a slightly older child as a way to revise or to get some extra practice. Each time you click on the letter or the navigate button you will hear phonetic sound of that letter. This encourages quick and easy learning. The illustrations are bright and cheerful to look at. There are games built in to the end of most of the lessons. It is also a great way to check that you are pronouncing your sounds correctly. Check out my previous blog on the Top 7 problems when teaching phonics to learn a little more about this. The only negative about this site is that pronunciations are American and can therefore be slightly different to Irish pronunciations. This is only the case for a small few letters, though, and it certainly hasn’t stopped me from using it. 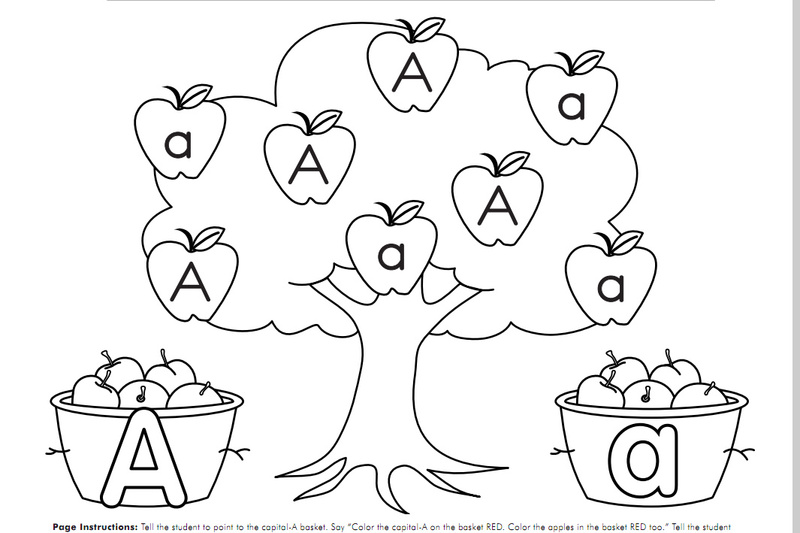 Starfall also offers free ABC Printouts for each letter of the alphabet. They are of a really high quality and are great for writing practice too.